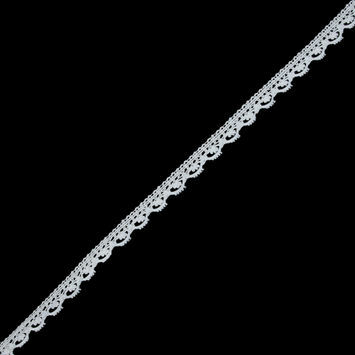 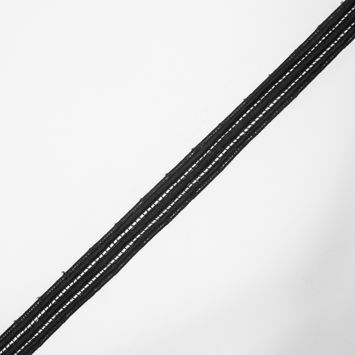 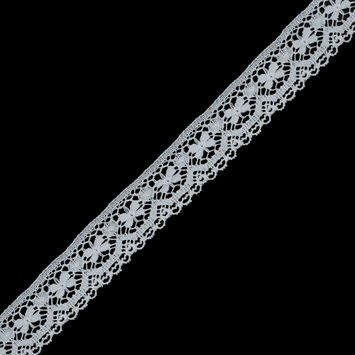 Lace Trims are an open fabric distinguished by ornamental patterns. 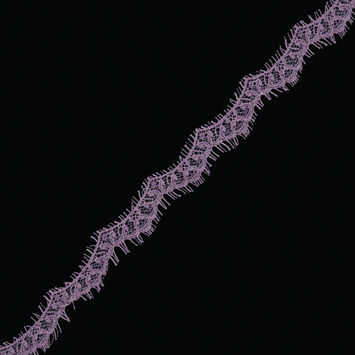 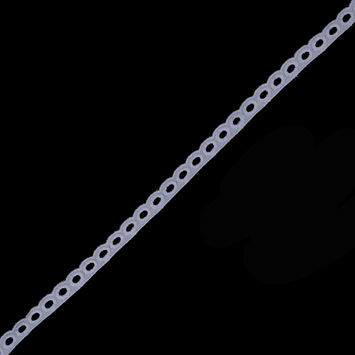 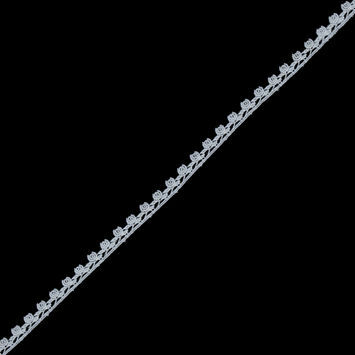 Lace may have no background fabric, or can be backed with a ground of net or mesh. 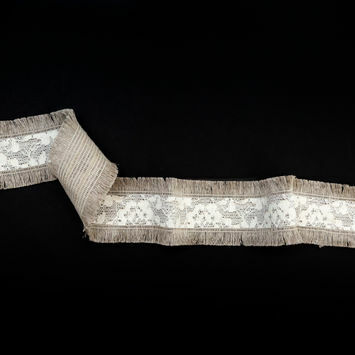 Lace fabrics arose in modern form in Europe in the 15th or 16th century, when it was handmade for nobility and the upper classes. 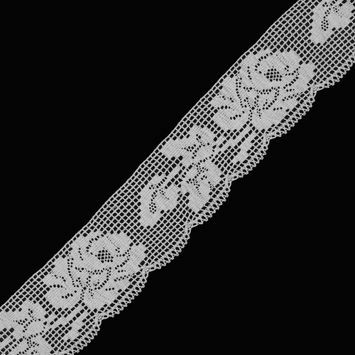 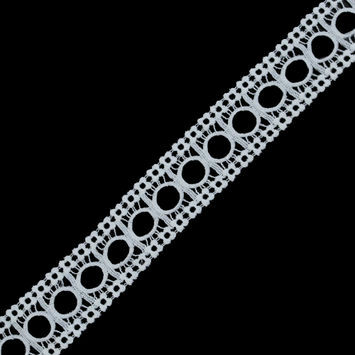 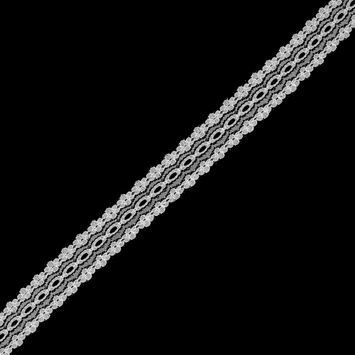 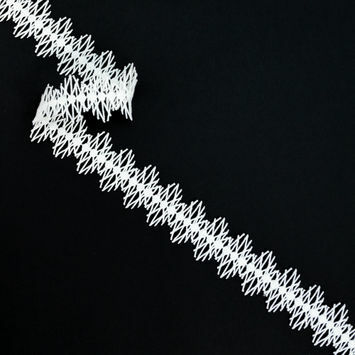 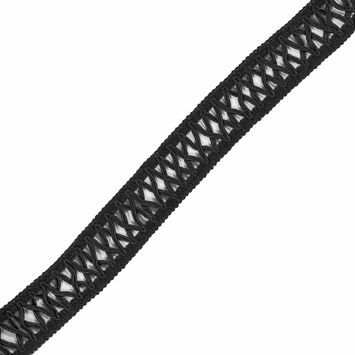 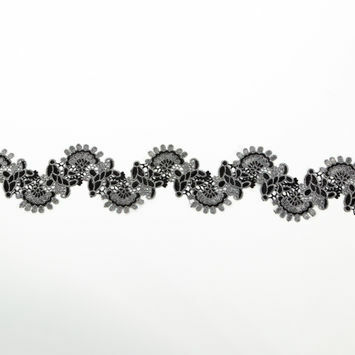 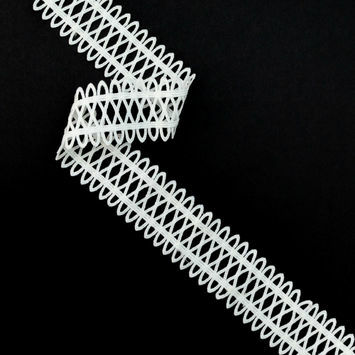 Today, most lace fabrics are made by machine. 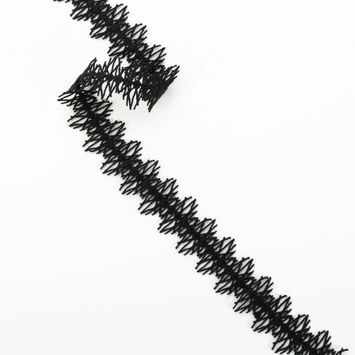 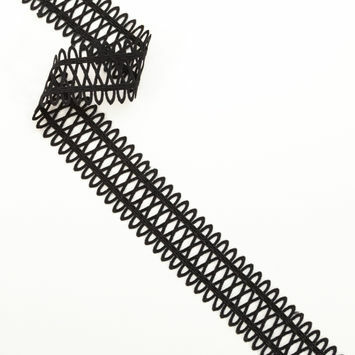 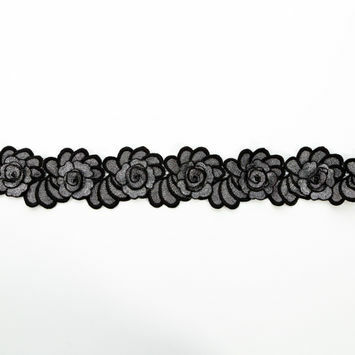 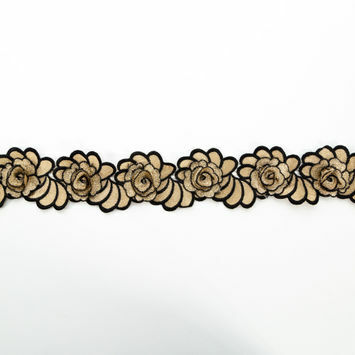 They can be embroidered on mesh, tulle or netting. 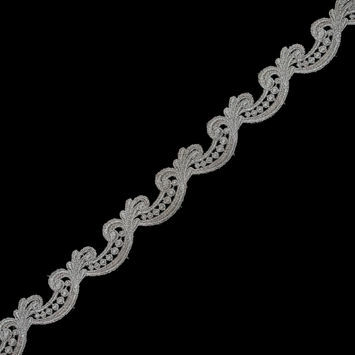 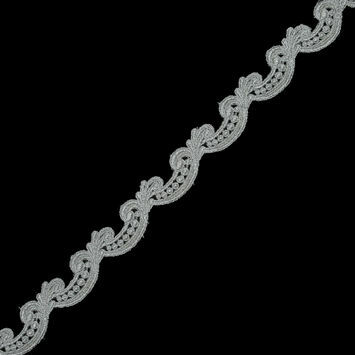 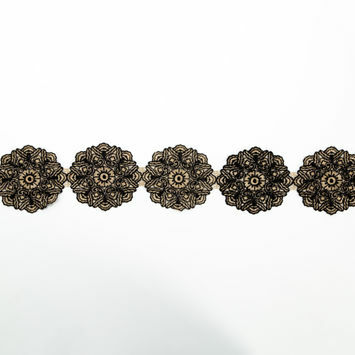 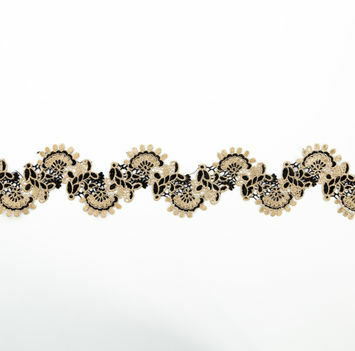 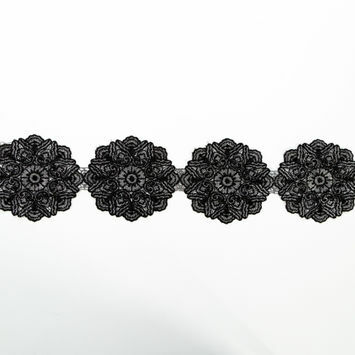 Italian Black Geometric Venise Lace Trim - 1.75"
Italian Black Venise Lace Trim - 1.375"
Italian Metallic Silver and Black Scalloped Lace Trimming - 4"
Italian Metallic Gold and Black Scalloped Lace Trimming - 4"
Italian White Geometric Venise Lace Trim - 1.75"
Italian White Venise Lace Trim - 1.375"
Metallic Navy Guipure Lace Trim - 1.25"
Metallic Ice Blue Guipure Lace Trim - 1.25"
Metallic Silver Guipure Lace Trim - 1.25"
Metallic Light Pink Guipure Lace Trim - 1.25"
White Venise Lace Trim - 2"
White Fine Lace Trim - 1"
Black Striped Venise Lace Trim - 1"
Lilac Scalloped Eyelet Lace Trim - 0.5"
White Rose Venise Lace - 0.5"
Dusty Mauve Eyelash Lace Trim - 1"
White Scallop-Edge Venise Lace - 0.625"